The Field copy plugin let's you copy a field value to another without creating columns to repeat the values during import. From Components -> CSVI pro ->Templates tab -> Rules, Click New to add a new rule using field copy plugin. 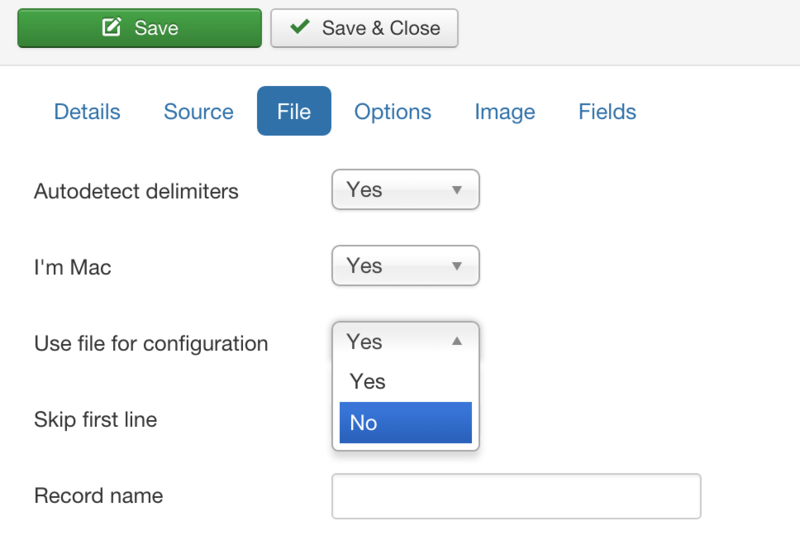 For example to create a rule to copy product_desc to product_s_desc field for a virtuemart product. 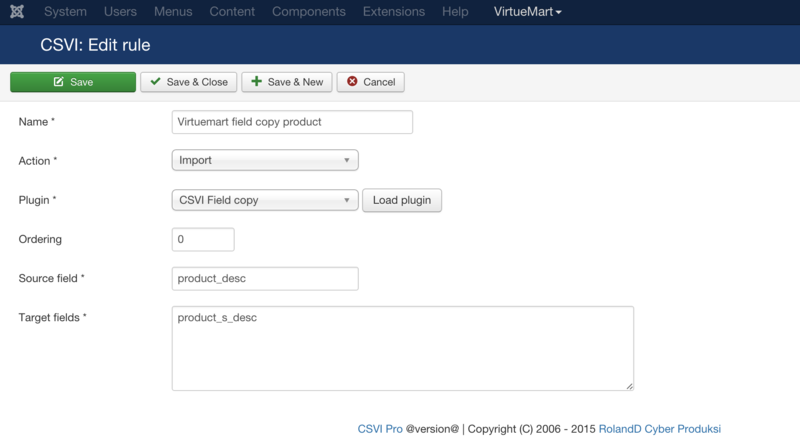 Give a meaningful name for the rule in name field say "Virtuemart field copy product"
The source field is the field that CSVI needs to copy from. The names to fill in here come from the template fields page. The source fieldnames must be the names that are found in the Field name column on the template fields page. The target field is the one where CSVI needs to copy to. Same as the source field even this field has to come from the template fields page. This must always be a name found in the Field name column. Here is an example on how to create a rule for a field copy plugin. Make sure that both product_desc and product_s_desc (examples used in this template) are there in template fields list to use the field copy plugin. Now that all rules and fields are set, CSVI will automatically copy the value from product_desc (source field) to product_s_desc (target field).